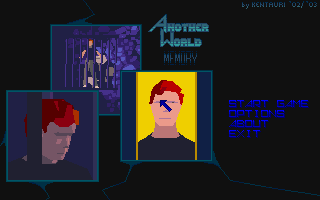 Another World Memory is a classic memory game with graphic from Another World. A.W.Memory plays like any other memory game. In A.W.Memory you can play in 3 modes,against human or CPU opponent or in solo mode,where you need to finish the game in least number of turns or in least amount of time. Also you can choose to play on different sizes of field and with different backgrounds.